"Although not significant in terms of cumulative up or down moves, it's fair to say that mortgage markets and rates have become more volatile of late. January's rate declines trended into early February, were virtually erased over a couple of week span, and now that upward blip is in the process of being at least partially erased at the moment. All of this has occurred in perhaps a quarter-percentage point range for interest rates, and is fair warning about the kind of market climate we're like to see in the period before the Fed actually does begin the process of "liftoff". At some point, arguably somewhat closer to the time when a Fed move seems more imminent, rates will show some more reliable traction and head up from recent ranges. When that will be is still not clear, is it appears the Fed remains noncommittal at the moment. With the Fed in non-committal mode and with the data suggesting patience can continue for at least a while longer, interest rates in general and mortgage rates in specific have found some space to fall again. Absent some new or unforeseen financial crisis, they probably don't have all that much space to fall, but they seem likely to drift back somewhat closer toward the middle of the recent range we've see this year. 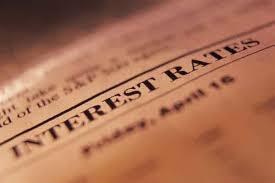 The recent rise in rates came to an end this week with a four basis point decline. Underlying influences being what they are, it seems likely that we'll experience another 3-4 basis point decline next week, which would leave us squarely in the middle of the recent high and low water marks for 2015 (3.99 percent and 3.79 percent, respectively). That said, there is a lot of fresh market-moving data out next week, including the twin ISM reports, employment situation, auto sales, imbalance of trade and more, so there is still plenty of opportunity for volatility and corresponding margin for error in the forecast."